A tablet is much more than a device for getting online - it’s your social network, your entertainment, career and memories. 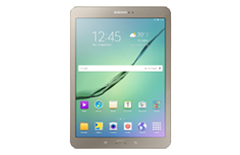 They are available in a wide range of screen sizes, designs and specs, so whatever you want or need, there’s a tablet to suit you. If you already know what you’re after you can filter by your must-have specs or, if you need a little help, can read about the main things to look out for when choosing. Check out our buying guide for more in-depth information or call into one of our stores to try out all the different tablets for yourself. Android tablets provide instant access to the things that matter the most. They’re easy to use and feature great customisation options that let you make your tablet yours. From games and social media to books, films and more, the Google Play Store has over a million free and premium apps waiting for you to download. 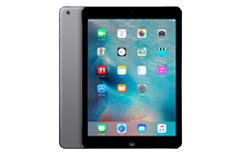 iPads run on iOS, a bright and colourful operating system that features intuitive navigation and unmatched compatibility with other Apple devices, including iPhones and MacBooks. They feature premium materials and meticulous construction for a mobile computing experience that works as well as it looks and feels. eReaders are designed specifically for reading, and unlike regular tablets, feature digital ink screens that resemble real paper. Books are downloaded from the web in seconds, with the built-in book store containing literally millions of new releases and classics. Amazon tablets put your favourite content centre stage. Whether you've got an ever-expanding eBook collection or want to stream the latest films, finding new and classic content is never more than a tap of the screen away. One of the first things to think about when looking for a tablet is the operating system. This determines how it looks, the way you navigate, how it communicates with other devices, and the store you download apps from. Android offers a simple yet highly customisable way to navigate the information that’s important to you. With over a million apps to download from Google Play, Android has something for everyone. 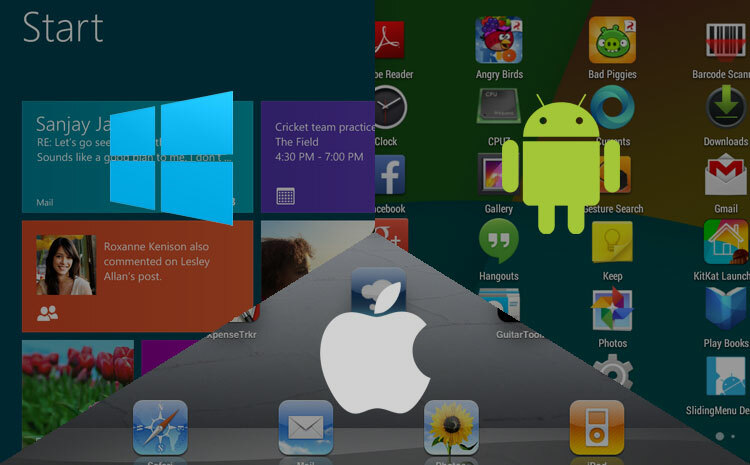 Android works well with Windows, so is good choice if you also use a Windows based laptop or desktop. iOS is a colourful and easy-to-use operating system that’s exclusive to Apple tablets and smartphones. It gives you one-touch access to iTunes, the App Store and more, so you can always access the things you want in seconds. iOS works best with other Apple devices, so is a great choice if you use a Mac or iPhone. Windows tablets can be installed with all the software you use on your laptop or desktop, so you can seamlessly move between devices and pick up right where you left off. Naturally, Windows tablets work perfectly with other Windows devices and are a great for business, university and everyday computing. 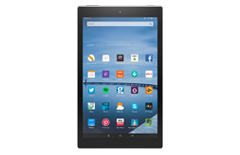 All Amazon tablets run on the bright and easy to use Fire OS. 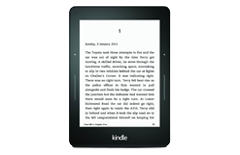 More focussed on media than other operating systems, the home screen gives you direct access to the Kindle eBook store along with films, music, TV on demand, and everything else you want to keep you entertained. If you love reading, watching the latest films, and streaming music on the go, you can find your favourites and almost limitless new content easily with Fire OS. A tablet’s screen quality is measured in pixels per inch (ppi). This measurement takes screen dimensions into account, so you can easily compare picture quality between different sized tablets. The higher the ppi, the better the picture quality. We also display the screen resolution if you’d prefer to search for a tablet with a full or ultra HD screen. 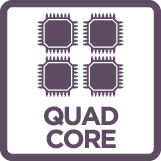 Most tablets now feature dual or quad-core processors. The more cores a processor has, the more it can tackle at once, so if you plan on using your tablet professionally or for demanding tasks like editing photos on the go, look for powerful processing. Some tablets feature more than four cores - these are great for design and everyday business use. The amount of storage a tablet has determines how many photos, films, songs and apps you can store on the device itself. If you plan on saving a lot of media for use offline, consider a tablet with an SD card slot for easily expandable storage. Every tablet connects to the internet via WiFi for easy access to the internet, with many also featuring Bluetooth for wireless pairing to speakers, headphones and other devices. If you want to use your tablet on the move look for 3G and 4G connectivity (cellular in iPads), which works the same way as your smartphone to get you online almost anywhere in the country. It’s important to think about battery life if you plan to use your tablet on the go, as some tablets feature huge battery capacity and are ideal for travelling or staying in touch on the road. You should also take into consideration what you plan on doing, as streaming HD films, connecting via 3G/4G and playing games can increase power consumption. There are plenty of ways to personalise and enhance your tablet or eReader, including bags, cases and mobile broadband. Cases are designed specifically to fit certain tablets, so you can expect a perfect fit. The same goes for screen protectors, while universal sleeves and bags fit almost any device. A backlit screen means there’s nothing to stop you from reading in low-light conditions. The light level can be adjusted for comfort and to help you get the best out of your battery life. Books are downloaded to your eReader via WiFi or 3G. eReaders with built-in 3G are perfect if you don’t have the internet at home or want instant access to the bookstore when away from home. As eBooks are small files, eReaders don’t need huge amounts of internal storage. You only need to think about opting for a large memory capacity if you want hundreds of books on your eReader at once. Due to their low energy usage, eReaders typically have huge battery lives and can go for weeks (sometimes months) between charges. This is usually based on half an hour of reading per day, so if you read a lot, you may see less than the supplied figures.